Maricélio Guimarães de Medeiros is a Biologist from UFG and a Master’s student in Applied Ecology at UFLA. 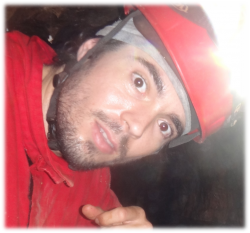 A sSpecialist in the Order Chiroptera, he works with research related to cave fauna wildlife and Speleological Heritage, conducting survey studies and monitoring of cave fauna and chiropterofauna, characterization of the area of influence and the degree of relevance of caves. He is a member of the Brasilia Speleo Group and on the staff of Panorama Environmental Studies. 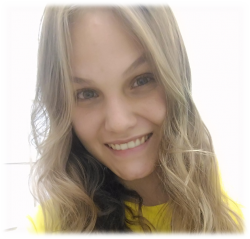 Emanuelle Paixão has a Bachelor's degree in Biological Sciences from the Federal University of Lavras (UFLA, Minas Gerais) and her master thesis foccused ​​Theoretical Ecology and Trophic Network Modeling. She is an expert in computational modeling of subterranean trophic webs. Erika Silva Linzi Taylor is a biologist from the Federal University of Minas Gerais (2007) with a Master’s in Applied Ecology (2011) from the Federal University of Lavras and doctor in Microbiology from the Federal University of Minas Gerais. 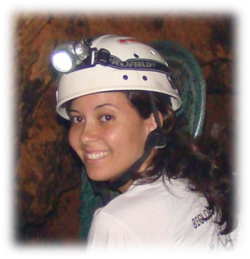 She has experience in biospeleology, working mainly in the areas of cave ecology, subterranean invertebrate fauna and microbiology. Luiz Felipe Moretti Iniesta is majoring in Biological Sciences and Master in Applied Ecology from theFederal University of Lavras (UFLA). 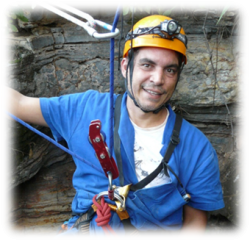 He has worked with cave biology since 2011 and has developed a faunal survey project in the Sumidouro State Park. He works in the area of Diplopoda taxonomy and cave invertebrate ecology. Ludson Neves de Ázara is a Biological Sciences major and master in Applied Ecology from the Federal University of Lavras. He developed a faunal survey and priority area conservation identifcation project in the Sumidouro State Park. Currently he works with the taxonomy of ​​ Opiliones and Chilopoda. Xavier Prous has a Bachelor’s in Biological Sciences (2000) and Master’s in Ecology, Conservation and Wildlife Management from the Federal University of Minas Gerais (2005). 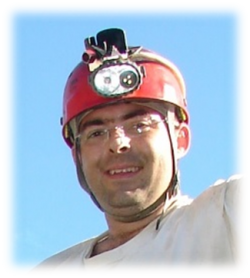 He has worked in biospeleology since 1998. His dissertation addressed the ecotone between epigean and hypogean environments in Lapa Mosquito - MG. He a Professor and Course Coordinator of Biological Sciences, Faculdade Pitágoras. Xavier is currently Master Biospeleologist of Vale SA, acting mainly in research and licensing processes associated with cavities in banded iron lithologies. 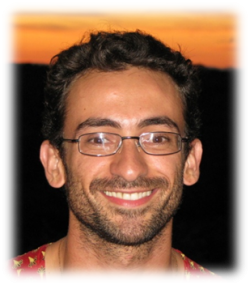 Matheus Henrique Simoes is a Biologist and Master in Applied Ecology. 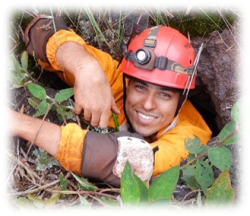 He has been active in the Center for Studies on Subterranean Biology since 2011, where he developed his dissertation entitled "Diversity of cave invertebrates: assistance for determination of caves and priority areas for conservation in northwestern Minas Gerais". Currently he working as an Environmental Analyst in the Active Environmental Solutions, Inc. company, where he leads the team in biospeleology projects speleological relevance. Ana Paula da Silva Bueno is a biologist from the Federal University of São João del-Rei (UFSJ) with a Master’s in Applied Ecology from the Federal University of Lavras (UFLA). Currently she works as a Biologist at Karst Consulting Associates, with involvement in specific biospeleological studies for environmental licensing of mining projects and infrastructure. Robson de Almeida Zampaulo is a biologist at the University Center Santo André Foundation (2004) with a Master’s in Applied Ecology from the Federal University of Lavras (2010). A speleologist for ten years, he specializes in the ecology of subterranean ecosystems with an emphasis on cave invertebrate diversity. 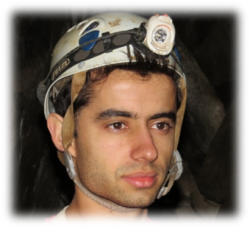 In environmental consulting, he has coordinated different work of speleological significance in the states of Minas Gerais and Pará. 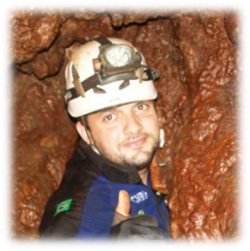 Currently he is an Environmental Analyst in Speleology Management in the Vale do Rio Doce (Vale) company. Thais Oliveira do Carmo is a Biologist with a Master’s in Applied Ecology. Her dissertation, defended in 2010, was titled: "Psocoptera in Caverns of Brazil: Richness, Composition and Distribution." Upon completion of theMaster's degree, she worked for two and a half years in Karst Consulting Associates, with a survey of cave fauna for the preparation of EIA / RIMA. 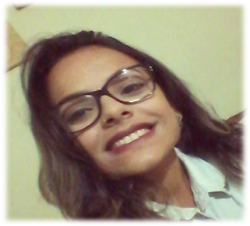 Currently she is working as an Environmental Agent for the Municipality of Sumaré - SP. Amanda Ueti has a Bachelor’s in Biological Sciences and a Master’s in Applied Ecology from the Federal University of Lavras. 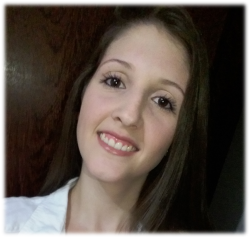 She developed her Master's project on the ecology of vertebrates associated with artificial cavities in the State of Minas Gerais. Her main specialty is bats, with which she has worked since graduation. Francisco Alexandre Sampaio degree in Biological Sciences education. He has a Master’s in Applied Ecology from UFLA, for which he researched the swimming performance of epigean and hypogean fish in order to understand the ecological aspects related to fish in these different environments as well as aspects of their skills that enable them to live these locals. He is currently a Professor at the Instituto Federal Baiano, Santa Inês campus, teaching Biology and Animal Science students. Diego de Medeiros Bento is a Biologist and Master in Biological Sciences from the Federal University of Rio Grande do Norte. He joined CECAV in 2006. 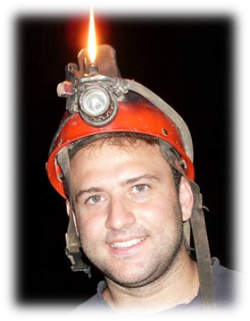 Currently he coordinates the Advanced Base of CECAV in Rio Grande do Norte, with operations throughout the Northeast, whose activities include from the speleological exploration and speleo topography to environmental characterization (biological and geological) and definition of priority areas for conservation of the speleological heritage. Isabel Mascarenhas Pires Ribeiro de Oliveira is Geographer graduated from the Federal University of Minas Gerais (2004) with a Master’s in Applied Ecology from the Federal University of Lavras (2008). 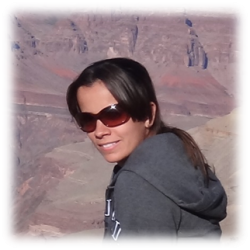 She operates in the fields of Speleology, Geomorphology, Pedology, Hydrography and Natural Heritage with published papers and studies in these areas. She has experienceas an environmental analyst, a physical environment technician in environmental projects and project coordination. 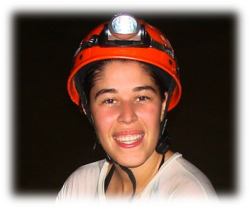 She is currently Project Manager at Brandt Meio Ambientewhere she coordinates research, topography, diagnosis and monitoring studies of caves throughout Brazil and environmental impact studies. 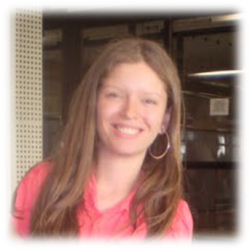 Isabela Maria Lourenzon is undergraduate student in Biological Sciences from the Federal University of Lavras. 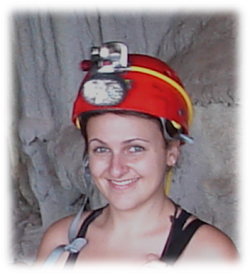 Develops her research project with composition, richness and distribution Symphyla in Brazilian caves (Myriapoda, Symphyla). Jennifer de Sousa Barros is bachelor's degree in Biological Sciences from the Federal University of Paraná (2013). 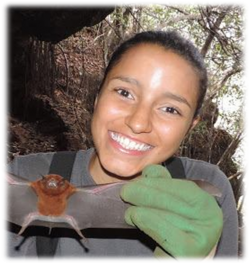 Acting as a consultant and researcher, she has experience in mammal ecology with emphasis in Chiroptera. 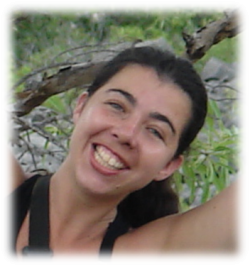 She is currently master student in the program in Applied Ecology from the Federal University of Lavras, with study related to bat ecology in caves. Luana Zurlo Fonseca has a degree in Biological Sciences from the Federal University of Lavras. It has experience in ecology, diversity and ecological functions of ants and their use as bio-indicators. She is currently a post graduate student in the Program in Applied Ecology from the Federal University of Lavras, and her project will cover the study of the diversity and composition of ant species in ferruginous caves and their respective areas of influence. 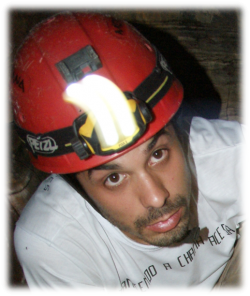 Rafael Costa Cardoso is biologist from the Federal University of Ouro Preto (2013) and works with caves since 2008. 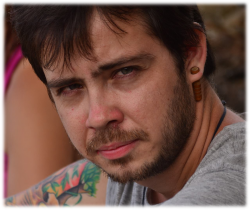 He is currently a post graduate student from the program in Ecology in the Federal University of São João del Rei (UFSJ), and his master project intends to define priority areas for conservation in the karst region of Aurora do Tocantins and Dianópolis - TO. Gatti Renato Fernandes holds a degree in Biological Sciences from the Federal University of Mato Grosso do Sul (2011). With academic experience in Chiropteran ecology (especially parasitism), he worked in consulting involving vertebrate and invertebrate sampling in natural cavities since 2014. 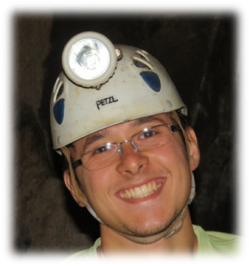 He is currently a postgraduate student at the Program in Applied Ecology at the Federal University of Lavras, and his research is foccusing the understanding of bat communities and their occurrence in caves. Antônio Júlio de Moura Chaves is a biologist from Universidade Federal de Lavras. He has experience in ecology, working mainly with fish. He is currently studying in a postgraduate program in Applied Ecology at the Federal University of Lavras, and his current project regards the study of catfish populations found in caves in the Pains region. Eliza Maria Carvalho Sena is an undergraduate student in biological sciences from the Federal University of Amazonas. She is currently working in her project entitled "Drought and rain periods as predictors of the diversity of the cave fauna in Neotropics". The work aims to interpret the influence of the rain on the cave fauna in two Brazilian Biomes: Cerrado and Caatinga.